Heavenly Sisters and Restoring Inner Truth were composed in memory of the 14 women shot and killed in Montreal on Dec. 6, 1989. They were engineering students and pioneers of their generation. 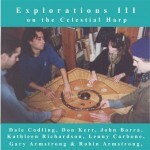 The Celestial Harp Band (Lisa Swarbrick, Michael Moon, Orest Tataryn & Robin Armstrong) composed and performed these works at a special memorial at York University, in Vari Hall, on Dec 6, 1996. 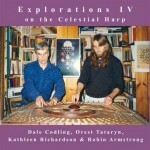 Lisa Swarbrick, Orest Tataryn & Robin Armstrong on the Celestial Harp. 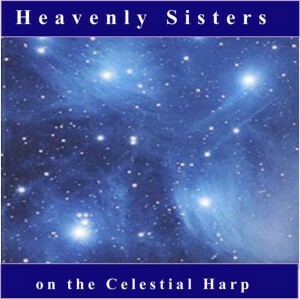 Heavenly Sisters refers to the seven sisters of the Pleiades. There were originally seven bright stars in this constellation but one of them, over the years, faded and disappeared. The legend of the Pleiades tells of these heavenly sisters and of the seventh who went away. This piece was composed to restore harmony and inner truth to a painful and anxious situation. It was based in part on the I Ching hexagram entitled “Inner Truth”. This piece was is another composition based on the I Ching hexagram entitled “Inner Truth”. This piece is a second interpretation of Restoring Inner Truth 1 based on the I Ching hexagram entitled “Inner Truth”. Cover design by Robin Armstrong with image of the Pleiades. 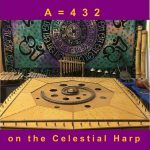 Please visit his site and let him know you saw his image on this cd. 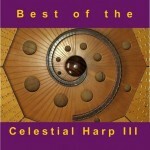 © 1997 Celestial Harp Band, Box 5265, Stn. A, Toronto, Ont. M5W 1N5.